Following your dreams isn’t always an easy path, but it’s an honest and rewarding one. 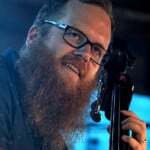 It’s also one that Carey Nordstrand has followed to create his bass business. 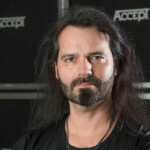 After finding his passion for bass, Carey took opportunities to get into the business and expand his knowledge. 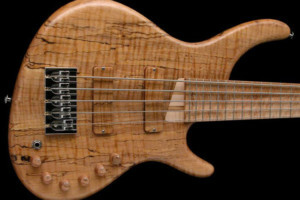 His bass company, Nordstrand Guitars, has grown from a one-man shop to a group of dedicated builders. 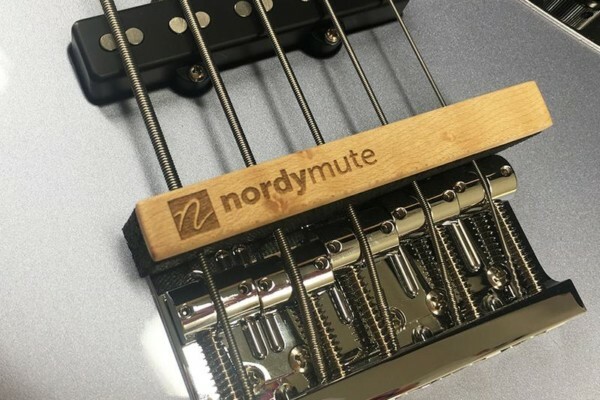 Nordstrand Pickups have been used in thousands of basses by custom luthiers and large manufacturers alike. Not one to rest on his laurels, Carey is now working on following his other loves of recording and audio. 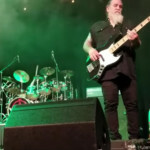 We caught up with Carey to get insight into his background, his ideas on basses, and his latest projects. I went to school for recording engineering and that didn’t really go very well. That career path turned out to be a lot of nepotism and cronyism. I wasn’t really ready for it in any case, so I had to move back in with my parents here in Redlands. There was a guy locally in a guitar shop here having parts made for a guitar called the Traveler, which is this little short thing that has the tuning heads in the middle of the body. He was having those parts made in Mexico, then bringing them up and assembling them himself. I was almost like a music store groupie, because I had a friend that worked there and I was hanging out there all the time. He just asked me what I was doing and I said, “This is pretty much it.” So he took me in the back and showed me the parts and the tools and asked if I could do it. I just had an aptitude for it right away. That was how I started doing guitar stuff, just assembling those things. That’s about seventeen or eighteen years ago, now. Then I had another friend that was hanging around. The guy that was doing the guitars had taken all the money from the store and put it into the guitar but wasn’t selling enough guitars so he ran out of money. Me and this other guy bought the rights to make those guitars from him. We started doing that, but we had no idea what we were doing. In pretty short order I decided there was no way I was going to be a one-man guitar production shop, so I bailed on that. He’s still doing it and the stuff is being made in China. It’s really nice. I designed a few things for him over the last five or six years. 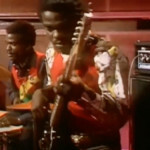 After that I kicked around a bit and worked for Steve Azola, who built electric upright basses. He got out of it about three years ago. But I was working for him for a couple years between 1996 to 1998. In 1998 I started working for Suhr Guitars. I did that for four years and again, I was like a sponge just soaking up everything I could. In the meantime I was acquiring tools with an eye towards starting my own thing at some point. After that I said it’s time to go. I bought a house and quit my job. 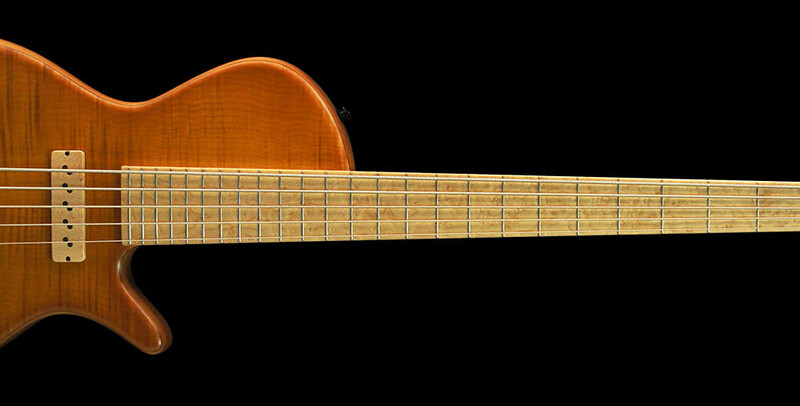 That was the beginning of Nordstrand Guitars, and that was January 1st 2003. Within six months I had a pile of orders and I was working out of a three car garage. I was just buried and blown away at how busy I’d gotten so quickly. Truthfully, it’s been pretty nutty in one way or another ever since. It sounds like you’ve had a “just jump in” attitude the whole time. I’m a risk taker almost to the point of being reckless. For a long stretch there I lost a lot of sleep because I was so stressed out. Some of the risks and some of the recklessness, financially, did get me in trouble. There were some pretty serious challenges there. My marriage fell apart and a lot of other “bad” things happened, but I managed to hold it all together and keep things going. I tend to dream really big and just do stuff. Even now, I’m thinking I want to start an audio company, then I want to start a pedal company, I want a record label and a recording studio… I could clone myself five times and probably still not get to everything I want to do. It just seems like there’s a ton of amazing fun things that are waiting to be done. 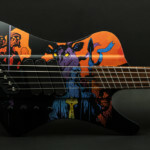 What’s the concept behind your bass designs? 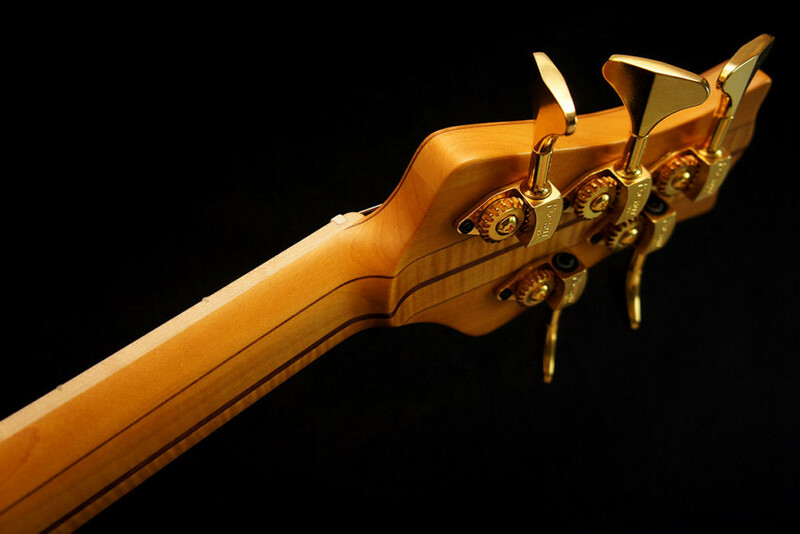 What sets your basses apart? I’ve been doing this long enough that the idea that something is set apart from whatever else is out there is… I have a little bit of a hard time with that I guess. Frankly it all started because I wanted to have a great instrument. 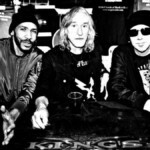 I had this article that had a picture of Mike Tobias in it in Bass Player magazine years ago. It had a caption that read “The Secrets of Tone,” and in the picture he’s holding all of these unfinished, raw wood Tobias basses that are leaning all over the place. I saw that and said, “Whoa, that’s rad! I’ve gotta figure out how to do that.” That was really the idea. 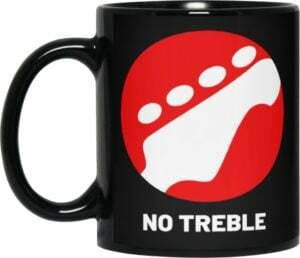 Ironically, I couldn’t afford to own one of my instruments for many, many years. I’d have one around and then rent was due [laughs]. It’s funny how that worked. I guess it was just an idea of having a creative vision of something and trying to fulfill it through the woodworking. I started doing my J-basses at a 34.5-inch scale, which I thought was pretty cool because Lakland was doing 35, MTD was doing 35, Fender was at 34… F-Bass was doing 34.5-inch scales but they weren’t making J-basses at that point so it was kind of a little niche that I could slip myself into there. It worked from a functional standpoint, too, because the B-string will be better. I don’t know how much I believe that anymore. 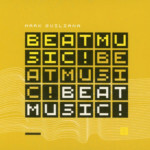 It’s definitely different; it’s more piano-like but it’s not necessarily better to me. It’s just a different thing. So eventually I started making 34-inch J’s, which I called the VJ Classic while I named the 34.5-inch the VJ Modern. I kind of decided that I needed to know more about the classic style J-basses, and that was how I did it. The whole thing started with an aspiration to do real high end fancy stuff, ala Fodera or Tobias or MTD. That went really well and then it just developed into pickups and J-basses. I know that my attention to detail and quality is pretty high because I’m a pretty picky person [laughs]. At this point I have some people that work with me and we maintain really high standards of fit and finish and playability. Also tone, as well as the pickups have gone. I wanted to ask you about the pickups. So that, just came along after people were blown away by the pickups on your basses and then it just kind of branched off on its own. Is that right? I was building basses in my garage, and in particular I had a six-string single cutaway that I was trying to build and I needed some six-string dual coils for it. I had reached out to Aero Pickups and their prices were too high to me at the time. I also reached out to the Duncan Custom Shop and I just couldn’t get a hold of anybody over there. And that was about it. If you wanted a dual coil pickup, there weren’t any other options back then. Nobody was making them. So I had learned a little bit about how to make pickups at Suhr Guitars, basically by winding Strat single coils and putting humbuckers together. StewMac was selling this little winding machine for like three hundred dollars where you had to hand wind it. I bought one of those and drilled holes in some fiber and shaped it with little router templates and punched it all together, then added glue because it was real sloppy. I just had to make it work [laughs]. You just had to sit there and wind it, and it was six to eight minutes per coil. I mean, I made some pickups. I don’t know how I’d feel about the sound of them at this point, because I didn’t know much about it back then. I was just happy they made sound [laughs]. There’s a guy that has that particular bass and he loves it and uses it. I guess there’s some validity to what I did. So I started making some other pickups… J’s, P’s, pretty much whatever I could buy the covers for. There was kind of this scene of solo bass builders that was getting started. Other guys got wind of my pickups and asked me to make them stuff, and suddenly I realized I could sell pickups. I got an amazing find on a really great Tanac computerized coil-winding machine and then shortly after that we got a laser machine so we could cut fiber out in any shape that we could imagine. Then it was just a matter from there of filling orders. It’s been kind of a crazy path ever since. Now there’s four winding stations and I’ve got eleven people working here. It’s this whole thing that just kind of happened. 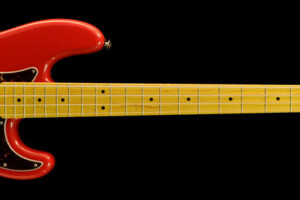 What’s something about pickups that you think most bass players don’t get? I don’t have a clean answer, but I just have to emphasize the the pickup is a big, big deal. Pickups are one of the biggest factors affecting tone. I think scale length is huge, pickup placement is huge, and then the type of pickup is huge. There are so many types and styles of pickups out there these days that the trick is to find what really grabs you and then play around until you find what you really want. Personally I like analog-y, rich, lush type stuff when I design pickups. That’s what I go for. THere’s a quality that you can arrive at that has a depth and dimensionality to the sound that has a life of its own and you find yourself getting lost in the tone. When I test a pickup and I can sit down over several testing session and each time I lose track of how long I’ve been playing it, I know I’ve got something. 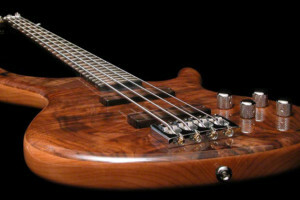 How does your own playing affect the way you build basses? I tend to prefer bolt-ons a little bit better over set-necks. For me, the consideration is more of an aesthetic one than a sonic one. It’s just a different feel and a different vibe. A set-neck instrument is going to be all carved and much more of an exotic, personalized experience with an instrument whereas a bolt-on is definitely way more traditional. It’s just a different vibe when you’re playing the instrument, purely because of the physicality of the way it’s made. I do really like the way bolt-ons sound. There’s a punchiness and a growliness. Neck-throughs have kind of a rubbery sound to me, in my experience, which granted isn’t that extensive because I’ve only made one of them. 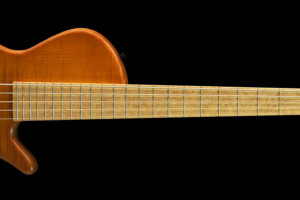 And that was a weird thirty-inch scale, six-string singlecut. There were so many odd things about that bass that I couldn’t get much out of what it was doing anyways. But other neck-throughs I’ve played have always had kind of a rubbery quality to them. I think bolt-ons present themselves in a way with the comb-filtering effects and how the neck couples to the body to sonically sound full but actually have a lot of space in [the tone] so when you play them in an ensemble situation, it’s filling without being too filling. It doesn’t become a bully in the ensemble. My personal tastes lean toward pop and contemporary music like James Taylor, Paul Simon, Jack Johnson… just this wide range of stuff. I’m not really a jazz guy. I prefer stuff that has a vocal in it and I can relate to that way. Bolt-on type instruments just seem to work better [in that style.] And realistically, that style and the bolt-on instruments have grown up together so it’s kind of integral to how that music gets produced and made in the studio. We’re approaching J-bass three hundred. That doesn’t mean we’ve made three hundred, but we’ve taken orders for three hundred and people have had to cancel here and there so there are empty serial numbers in our database. 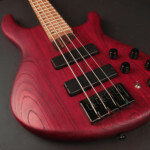 I’ve probably made a hundred of the custom proprietary design stuff like the singlecuts and what I call NJ’s and Headless basses and things like that. Then a few others here and there, so there’s probably a total of about five hundred bass out there that we made over eleven years. Not a lot, but it’s fine with me [laughs]. I’ve raised the prices enough over the years that I don’t need to be building basses all the time. I want to make it something that I want to do instead of something I have to do to pay bills. I have a lot more creative freedom now with that approach. This happened with the headless design a couple years ago. I was playing around with my NJ shape in CAD software and I thought, “Man, what would this look like as a headless design?” So I put the bridge on there and it just became this creative flow. So you know later I was cutting out parts for a headless bass and decided to take it to NAMM. I had the time and the space to do that kind of stuff. I really value that ability and the time to have that dreamy “what am I going to do next” kind of thing. That’s quite on purpose. So you’re working for passion at this point. We’re working on this new cabinet that we’re doing, hopefully. It’s really cool. I found this company that was doing cabinets out here called Industrial Strength Industries. They had these drivers and guy explained to me that it’s a neodymium-alnico hybrid driver. Before I even knew what was going on, I played it and I knew something was different. 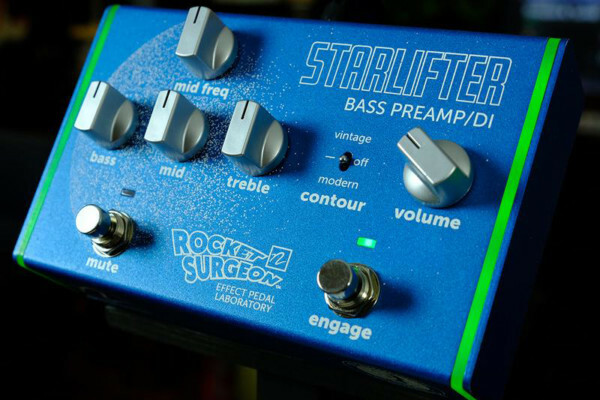 It’s got a lushness and organic-ness that you don’t get a lot out of bass cabinets. If you build a bass speaker with alnico, the high energies will eventually wearing out the alnico. It will end up degaussing itself and losing power. But if you put neo on it, the neo is powerful enough that it will keep the alnico charged so you can have alnico tone and have the neo there to make it an efficient system. Eventually I asked them to make me a twelve-inch driver because they were only making eight and ten inch drivers in their cabinets. So I got one and stuck it into another company’s cabinet. Just replacing the driver and it’s been slaying people left and right. So I’m super excited about how that’s going to go. But that’s just one example. 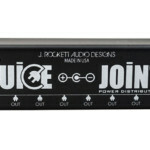 I’ve got that and this EQ DI pedal we’ve been working on with Scott Andres who used to work for Genz Benz. We had a sample built up that functioned but wasn’t quite dialed in yet, which I did all the work myself. It got to the point where we had to figure out how to production-ize this, and it was too much for me. He just happened to get the boot from Fender at the time, and it seemed like it could be the right opportunity. He’s been working on it and we’ve been getting it closer and closer to being nailed down. 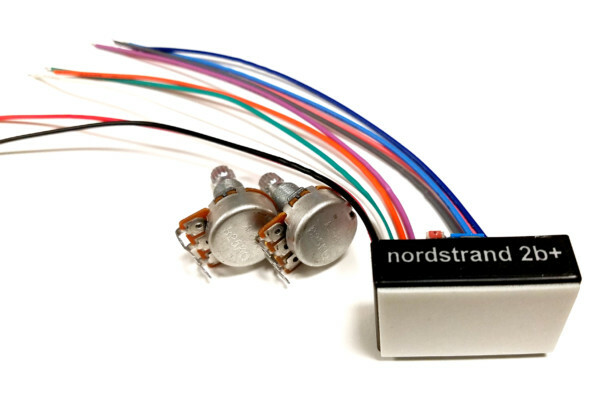 So this is a whole new brand I want to start called Nordstrand Audio. That’s how I go. I have that, then a little recording studio I want to do more, as well as work on my own material. It’s crazy. My days are just one thing after another, but I wouldn’t change a thing. I love it. What’s the craziest thing you’ve been asked to do for a bass? I stopped letting people ask me for crazy stuff four or five years ago because I stopped taking orders for custom instruments. It was probably that six-string neck through with a thirty-inch scale. The crazy thing was that the guy needed Seymour Duncan pickups in it. 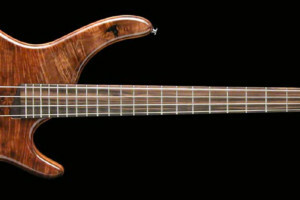 Looking back now, I think what he wanted was a cheap mini-Fodera. So that’s kind of what he got. 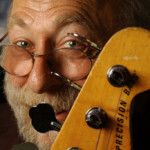 He wanted the extended B-string tuner where the string goes to the end of the headstock. It worked to an extent. It freed me from the mental load of having to deal with tweaky customers. 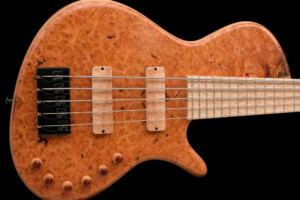 What would you tell someone thinking of making their own bass? My advice would be the same I would tell anybody who wants to do anything specific in terms of life. What do you want to do that makes you happy? What’s fulfilling to you? A question I like to ask people is “If you made twice as much money as you did now, but you didn’t have to work, what would you do?” The twice as much money part makes them think about being able to pay their bills and not worry and then have more to actually do something with. It really gets people thinking about what their passion is and what they really, really want to do. So my advice would be do it because you love it. Do it because you can’t imagine your life not doing it. If you’re going to do it to become the next big thing, that could work but it will probably burn out at some point. It needs to be an expression of who you are as a human being. Even if that’s the case and you’re working from the center of your being, people change. It may become that you want to go do something else instead. My main advice would be to follow your heart and really try to find the passion at the center of it all. If you can connect with that, the rest of it will happen. Or it won’t, but you’ll end up doing what you’re supposed to do. For me, building basses is just another fun facet of this wild ride that I’m on. Big singles are the best pickups ever made.